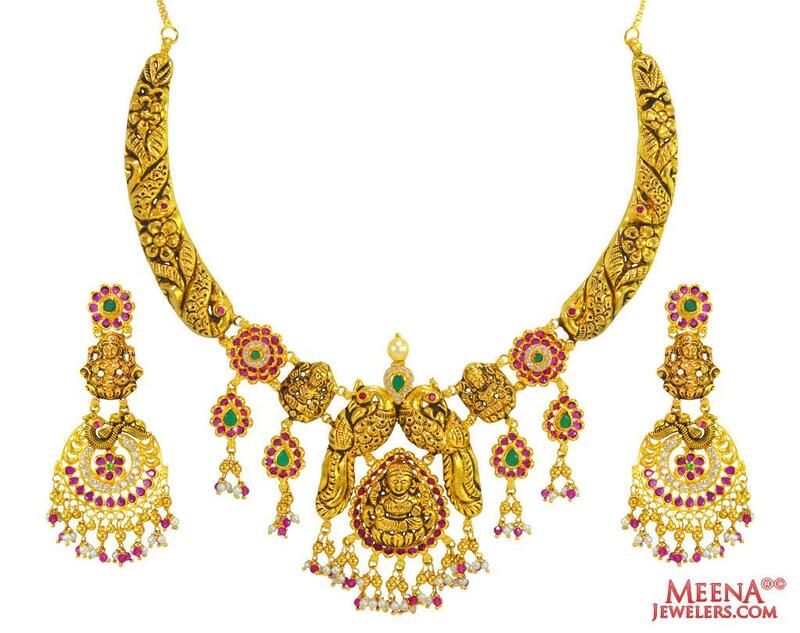 22K Gold temple Necklace set is embossed with laxmiji and is Studded with Rubies, Emerald and cubic zircons. Pearl and ruby hanging at the bottom enhances the look of the earrings. 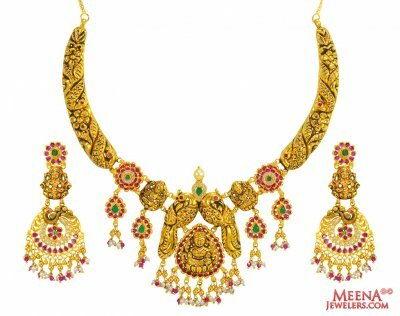 Earring type: Earrings are designed with embossed Laxmi Devi. Earrings have screw back post. Necklace is 17.25 inches long and 74 mm wide(from the center). Earrings are 81 mm long and 30 mm wide.